Today's lesson is... Street Fighter. Take out your books. 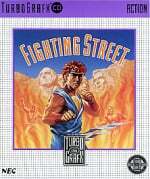 We're sure many of you can remember where you played your first game of Street Fighter. For me, it was the house of a distant relative that shared a similar enthusiasm for gaming as myself in my childhood. It's a series that stretches back to the mid '80s and continues to produce games even 'til this day. Chris Carle has been doing more than reminiscing; the IGN editor has been busy authoring a book that charts the history of Street Fighter. The 176-paged beauty will even contain "original text and interviews" with the animators and developers at Capcom to give us what should hopefully be an insightful piece of literature. That's the mind candy — the eye candy will comprise of over 200 full-colour photographs to finish off the package. The book launches in the US on March 17 and can be easily ordered via the Chronicle Books Web site. Those in the UK will have to wait a bit longer as it won't get its retail release until May 1. Now Nintendo just needs to license a History of Zelda. That would be on our "to buy" list most definitely. No reports about the Mega Man manga coming out soon? History of Zelda would be awesome! Not for me, but cool for the collectors. I still want a Miyamoto autobiography. Also with 200 pages of full color pictures. 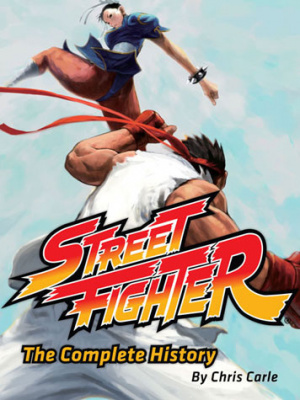 They need a book for this series, in fact they could have made one for just Street Fighter 2. I want also The Ultimate History from: Zelda, Metroid, Mario, Castlevania and MegaMan series too. 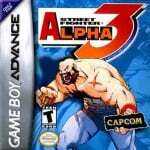 being a street fighter fan, i may get this. also, for those who want a good nintendo history book, check out "game over" by david sheff. which goes from right back to nintendo`s begginings as a playing card company in the early days, up until the mid `90's, just before the N64 era. there are various versions of the "game over" book, but they`re all basicly the same, exept for a few minor additions in each. Then Killer Instinct came out. 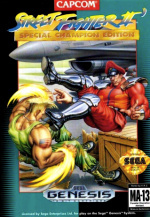 Then the Killer Instinct series died a death while Street Fighter series went from strength to strength. As for the book, it would be interesting to read it but I imagine I know pretty much everything worth knowing already. Oh I am so there, I will be ordering myself one! I want to see if the art and photos are good before I decide to buy the book. $13.46 on Amazon pre-order. Hopefully they used recycled paper, because this was a waste.